Ford Motor Co. fears cash-strapped European governments may go back on promises to offer consumers incentives to buy electric cars, making EVs unaffordable to most buyers. Governments in countries such as the UK and France have said they will offer subsidies of up to 5,000 euros to kick start sales of environmentally friendly electric vehicles. 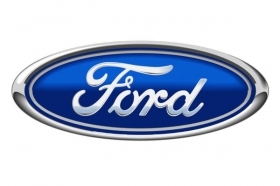 Ford Chief Financial Officer Lewis Booth said austerity measures now being introduced by governments to reduce budget deficits may affect subsidies. "We believe government assistance will be a challenge in the next few years," Booth said at the Paris auto show, adding that electric cars sales will not take off without incentives. Ford CFO Booth says the EV market will only develop with government help. Electric vehicles are much more expensive to build than gasoline or diesel cars because of the high cost of battery packs. Ford plans to launch a battery powered version of the Transit Connect van next year, followed by a Focus electric car in 2012. The company has not disclosed prices. Earlier this month, Renault said its Kangoo Express Z.E. 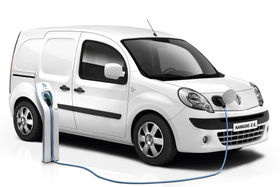 electric van will sell for 15,000 euros in France including a 5,000-euro government subsidy. 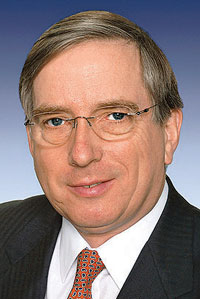 In European markets with no subsidies, the cost will be about 20,000 euros. Renault needs government incentives to make the Kangoo Express Z.E. affordable. The Renault van will launch in the middle of next year, about the same time as Ford starts selling the rival Transit Connect battery powered model.